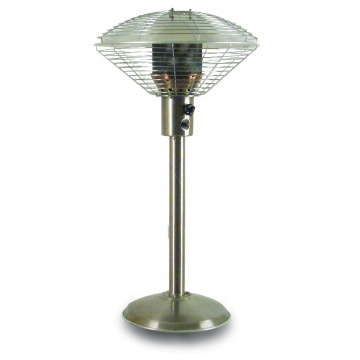 Sahara Stainless Steel Table Top Gas Patio Heater. Heats table area for 4-6 people. High grade durable stainless steel. 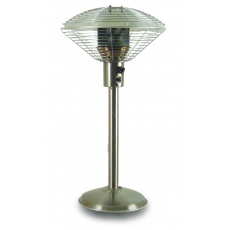 Fully guarded reflector and burner for complete safety. 13kg gas cylinder last 30-75 hours. Hose fitted with quick snap connect for easy disconnection from cylinder. Safety tilt cut off device. Green calor patio gas bottle quick connect clip on regulator and hose supplied.